Gulet ships have been used for centuries to explore the coast around the Lycian peninsula in south-western Turkey and today have been converted to luxury cruising vessels. A gulet is a wooden yacht, handmade from hardwood using traditional Turkish carpentry techniques and nowadays powered by motors, though sails can still be used. The coastline, bays and islands of the region provide an interesting and picturesque landscape to explore in addition to swimming and snorkelling in the turquoise waters. On shore, there are numerous traditional villages and ancient ruins to explore, such as the ancient cities of Xanthus, Patara, Arycanda and the submerged city of Kekova. 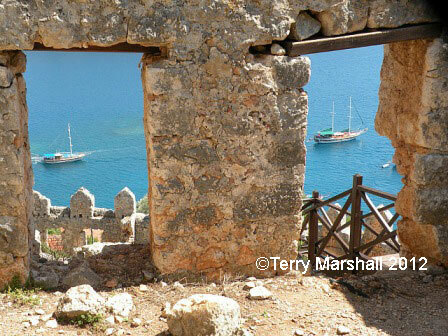 Organised group tours: Click here to see 6 tours to Turquoise Coast - Lycian Way which may include Gulet Cruise Along Lycian Coast.